Great ideas for creating that living wall or privacy fence. Areca palms are the perfect tree to be used in this application. A very cost effective palm tree, we have them available in 7-25 gal. containers. 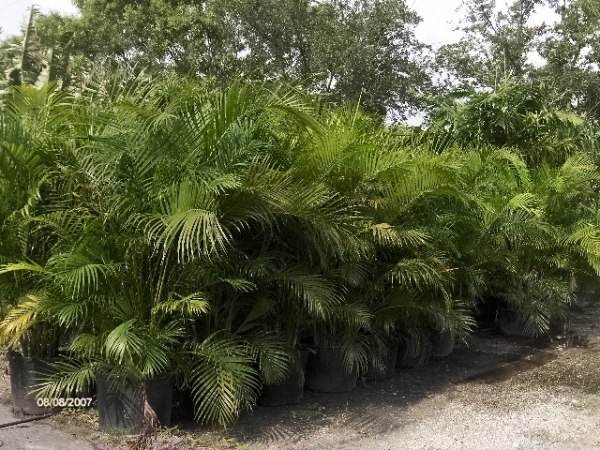 Areca Palms are available in larger sizes from 10 to 14 ft. planted heights.